SACRAMENTO – Assemblymember Bill Quirk (D-Hayward) has introduced a bill to incentivize renewable gaseous fuels to help decarbonize space and water heating in California. 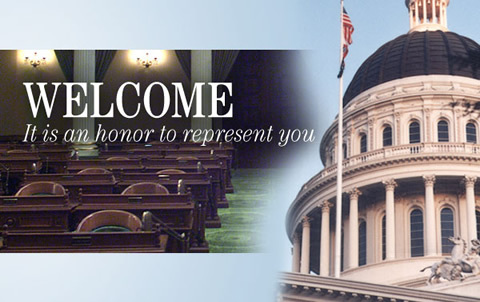 SACRAMENTO – Assemblymember Bill Quirk (D-Hayward) has introduced a bill to create parity in benefits available to legal immigrants through the California Work Opportunity and Responsibility for Kids (CalWORKS) and CalFresh programs. Existing law provides various public social services programs to low-income families and individuals including CalWORKs, which provides cash assistance and other benefits, and CalFresh, which helps with access to food at markets and stores. SACRAMENTO – Assemblymember Bill Quirk (D-Hayward), Chair of the Assembly Environmental Safety and Toxic Materials Committee, introduced a two bill package today to strengthen California’s management of harmful algal blooms, which release toxins in recreational lakes and drinking water reservoirs. SACRAMENTO – Assemblymember Bill Quirk (D-Hayward) introduced AB 762 to require local health agencies to post advisories at California water bodies depicting the amount of fish caught there that people can safely eat. SACRAMENTO – Hazardous waste must be disposed of properly to protect public health and the environment. Today, Assemblymember Bill Quirk (D-Hayward) introduced AB 733, which will enable California to identify this waste more humanely and accurately. “As Chair of the Assembly Committee of Environmental Safety and Toxic Materials, I work every day to protect Californians and California’s environment from toxic pollution. Making sure hazardous waste is accurately identified and disposed of is crucial,” said Assemblymember Quirk.